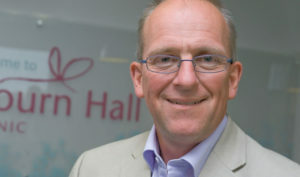 A breakthrough in male infertility treatment came 21 years ago when the first baby was born following IVF with ICSI (Intracytoplasmic Sperm Injection), but there is no room for complacency, says Bourn Hall’s Head of Science Martyn Blayney. His team is continually evaluating best practice and will be presenting posters at the Association of Clinical Embryologists’ 21st Anniversary ACE Conference. Bourn Hall embryologists will be showing two posters; one compares different culture media to evaluate if it has an influence on outcomes, and the other compares the performance of two types of needle used for ICSI. 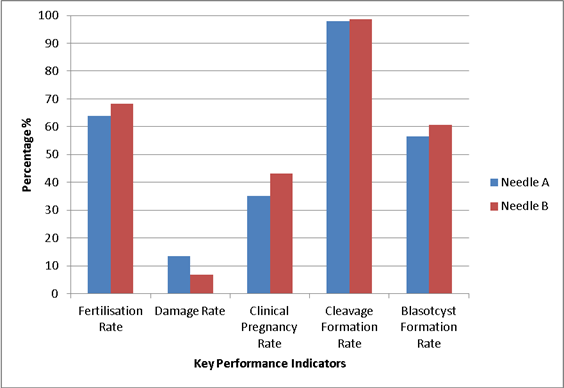 Results for the culture media trial showed that choice of culture media used during embryo incubation had little impact on live birth weight. There was no difference in biochemical or clinical pregnancy rates, implantation rates or birth weight. There was a slight difference in gestational age at birth in weeks but this was probably insignificant when other maternal and paternal factors were taken into account. The other study compared two types of needle used for ICSI, which did show an improvement in performance. The introduction of ICSI, in which a single sperm is injected directly into an egg, was a huge advance in the treatment of male infertility. For the first time it gave couples with no chance of natural conception and a history of poor fertilisation with conventional IVF the opportunity to have a baby of their own. There are various manufacturers and styles of needles so the study aimed to compare performance of different types. It showed a significant improvement with needle type B (see table). It should be noted however that the needles were tested over different time periods. During the use of needle B a number of other improvements were made in the ICSI procedure, particularly the introduction of anti-vibration tables and of SpermSlow media. The ‘9th Biennial and 21st Anniversary ACE Conference’ is to be held 5-7th January 2014 in Sheffield. You can read more about ICSI and other IVF treatments here.